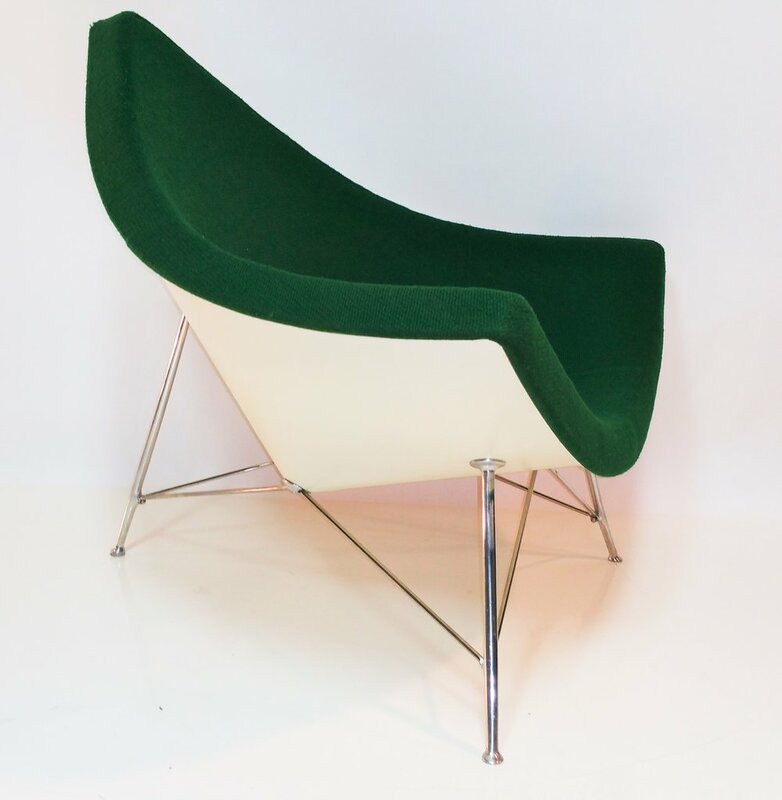 An icon of modern design, early production late fifties coconut chair & ottoman by George Nelson for Herman Miller. Chair has the original paint to the shell with green wool fabric that has some wear, but has plenty of life left. Upholstery has been professionally cleaned. Overall condition is good with wear evident on the foot bottoms of the chair.